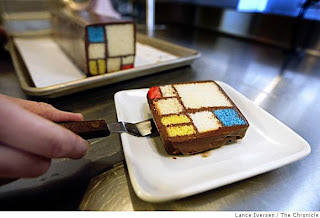 Created by Caitlin Williams Freeman, resident pastry chef for the Blue Bottle Coffee Bar, at the San Francisco Museum of Modern Art. Thanks to SF Chronicle reader, Shelly H.
Listening to NPR Morning Edition on March 27, 2006, I was moved by the words of Frank X Walker. His essay for the program This I Believe, poignantly shared the importance of creativity. 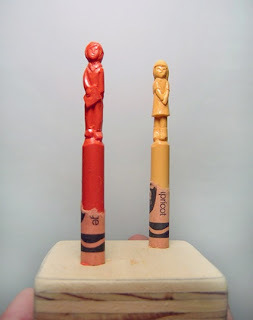 One mantra I repeat in the classroom, "Our art materials are tools not toys; we're careful with our tools and treat them with respect, then they last a very long time." This artist has taken it one step futher. These materials are not the tools, but they're "the art"! 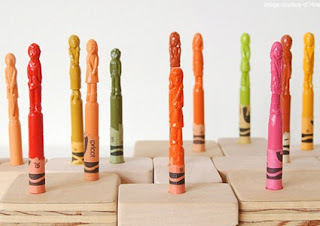 These crayon sculptures were created by artist Diem Chau. I was teaching 4th graders a lesson inspired by Paul Cezanne. 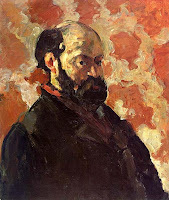 Before the lesson I showed some Cezanne art and talked a bit about him. As usual, I pointed and repeated the correct pronunciation of his name (emphasizing "Say-Zahn")a couple of times, then told the class it was "their turn". I point to the name and they're supposed to say it in unison. Class get ready, I point, and everyone said slowly, "Paul Cezanne." Actually, not everyone said, "Paul Cezanne." One boy who sat the front row wasn't paying too close attention and instead he said, "Celine Dion." Say-Zhan?/Dee-Aahn? -- If you knew the child, you'd know as I did that he wasn't kidding. None of the other kids heard him, luckily. Unfortunately, these days many children do not have sufficient opportunities to use their imagination. This lesson lets them exercise their imagining skills. 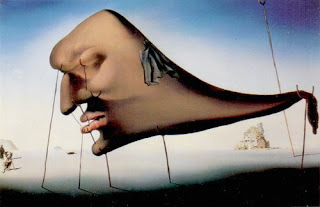 Salvador Dali, Spain 1904-1989, is a perfect artist to help kids explore the world of imagination. Much of his art though, would be difficult to show in an elementary classroom because it would require considerable discussion given that the subject matter is extraordinarily graphic. 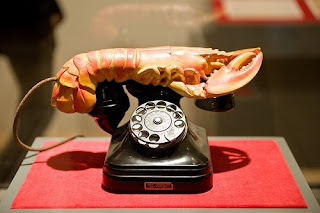 The melting watches are some of Dali's most famous. 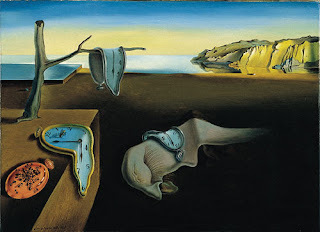 Ask students what they think it might mean to have "time melting". 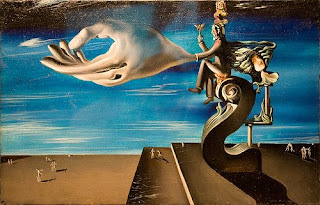 A lesson inspired by Dali. Explain to students that they're going to make a "Surreal Tree" because their tree is going to have crazy things growing on it. Things that don't really grow on trees. Step 4: Cut out things that wouldn't naturally grow on trees. Use magazines to find these things. Step 5: Glue objects on tree. Need large (approx. 3"x3") and small (approx. 1" x 3") pieces of cardboard. Dip large pieces of cardboard in brown paint for the bark. Remind students to press gently, to get the imprint to look more like bark. Tell them to "tap, tap, tap" the edge of the cardboard onto the paper. Use a smaller piece of cardboard for the leaves. Tap, tap, tap leaves onto the branches. 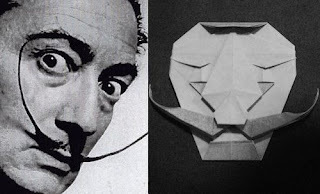 If you'd like your students to finish this project in less than one hour, it's best to give them a pile of pre-sorted magazine pages with interesting objects, people, etc. so only the object is showing. Glue on the magazine cutouts. 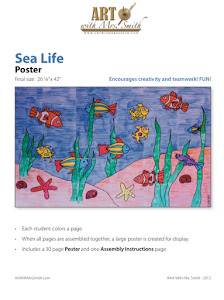 After I'd finished explaining the lesson I gave the students permission to begin creating their art. Kids worked quietly and three hands went up in the air for help. I went to first child who said, "Is it okay if I put a flower over here?" I said, "Yes, that's a great spot for a flower." Then I went to the other child with his hand raised who said, "Can you help me cut this out?" I said, "Sure, let me show you where to put your fingers and get you started cutting, then you can do the rest." Then I went to the third child who had waited patiently with her hand raised the whole time I was answering questions and helping. She said, "I like your toes. Are they pink?" I said, "Yes, I do have pink toenails. Did you have a question about your art?" She said, "No, now I'm going to get started." 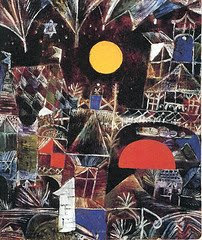 Students are given instructions to create a house and a tree using collage technique. Once they have a house and tree, they may add anything else their heart desires. 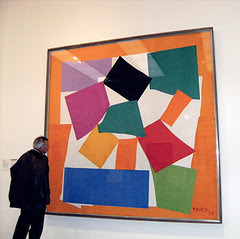 Matisse's collages/brilliance. He called it, "Drawing with scissors." 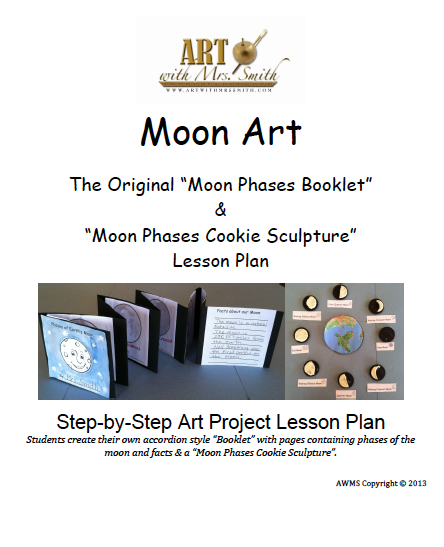 This is one of my favorite works of art to share with children. 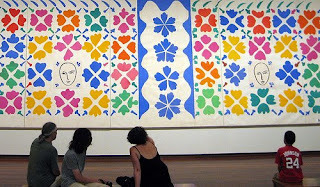 Also worth noting, you cannot see the edges of Matisse's cut-outs in these pictures, but in real life the edges are NOT perfect by far. The cutting looks like Matisse was working quickly and didn't care in the least that his scissors were not moving in straight lines and that shards of paper were left hanging on edges. Sometimes I catch myself preferring students to work very carefully on their art, but then I'm reminded of Matisse's Snail and realize that "careful" art is not necessarily something to strive for. 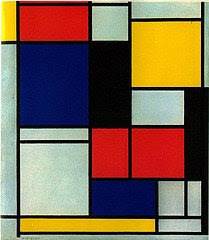 Mondrian Art is great for the classroom. 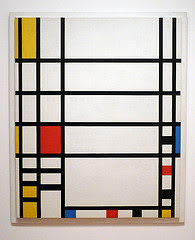 I love the idea of telling students they can "go wild" with colors and composition, but at the same time they need focus on precise geometric shapes and lines. 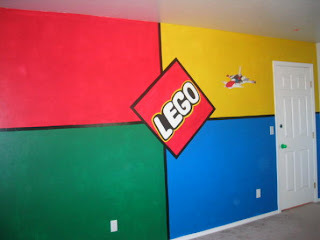 And, if you're a parent with a LEGO loving child.... here's a summer project. With a blue crayon draw outline for horizon and mountains. Paint the sky yellow, orange, then red. Paint the sea yellow, orange, red, then blue. Paint the mountains blue. Wait to dry, then draw on palm tree with a black crayon -OR- draw and color black palm tree on separate piece of paper, then glue onto painting. Add 1 dot, far away, between first two dots in the circle. Connect that dot to the circle, with 2 curved lines. Until you have created all six leaves.